Cutting-edge art and contemporary entertainment met at the inaugural installment of our Vivince Event Series, The Blank Canvas Event. It was a night full of industry experimentation, and a particular point of joy for us to co-host with the PCSC Arts Council. Our joint vision for the all-white event unfolded as a unique blend of multidisciplinary artists (each pushing the boundaries of the local contemporary scene) who lent their talent to creating an environment of unexpected and engaging moments. We were excited to see our work come together in a collaborative art experience of which everyone was proud. Keep reading to see The Blank Canvas Event highlights! In the most recent edition of the Vivince Event Series, we wanted guests to be more than just passive observers, using an all-white dress code to get everyone involved before they even arrived. 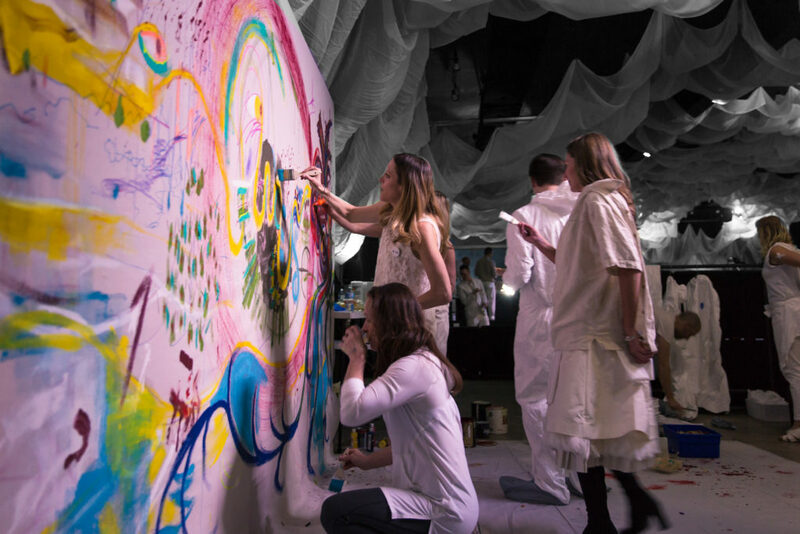 As they discovered the entrance to Park City’s Yard Event Center, past a team of dancing nymphs in the parking lot, they had to push their way through the tear in an oversized canvas – in a way, a commitment to dive into the experience further. On the other side, we presented a modern black and white space that was buzzing with artistic energy and potential. 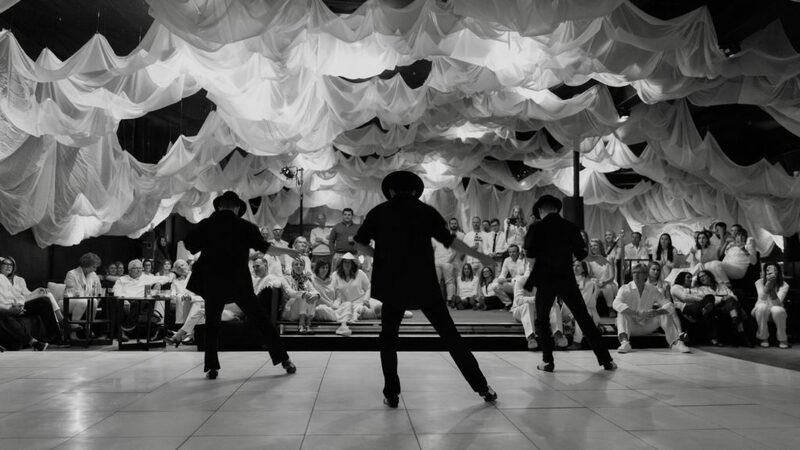 From the white billowed ceiling to the sparkling all-white dance floor, the crisp and clean atmosphere was deliberately designed with a blank head in the clouds feel, allowing the art forms that would fill it to take center stage later. From contemporary dance performances set to 80’s classics to the guests who turned up the dance floor after, it became a night full of movement and energy. 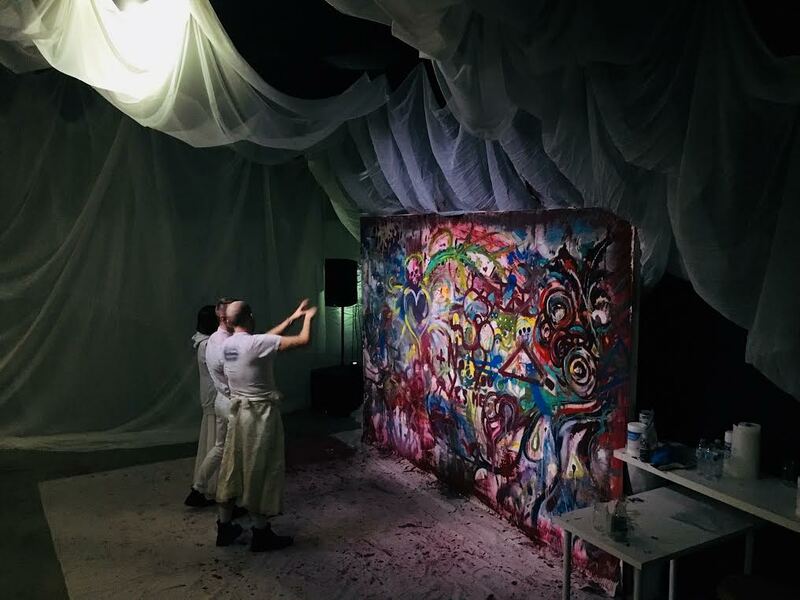 Bright colors made a vibrant debut through an interactive art piece in which guests had the opportunity to collaborate with professional artists and contribute to live-action artwork in the making. The nymphs occasionally retook the dance floor with surprise performances, while custom cocktails fueled the spirit of this pop-up lounge and dance party. 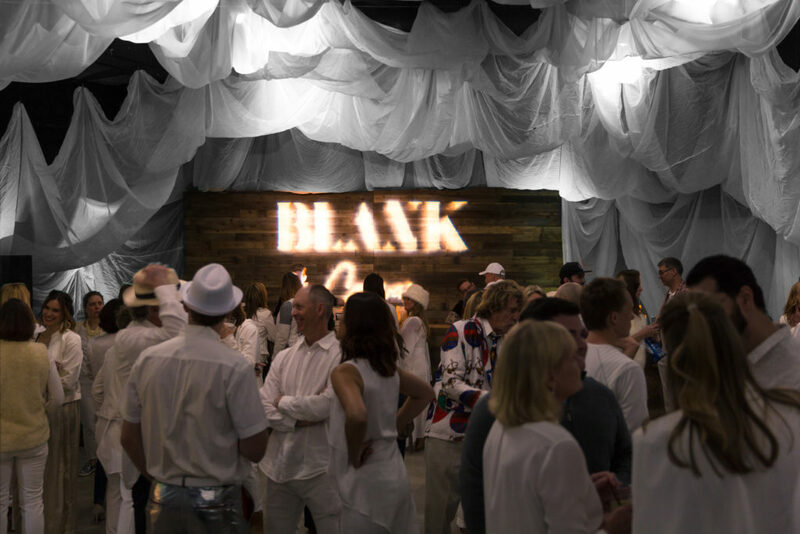 All in all, we were so thankful for the opportunity to co-host The Blank Canvas Event with our friends at Park City Summit County Arts Council. The artists with which we collaborated brought their best to the table in an unforgettable experience, and every guest left feeling like they witnessed art come to life. We couldn’t have been happier with the turnout and are excited to see where the Vivince Event Series takes us next.